There’s a quote I’ve always loved by Sir Francis Bacon, the English Philosopher, and I’m sure you’ve heard it. He sad that “knowledge is power.” And I definitely believe this to be true. 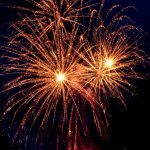 But I also know, from more than two decades of work as a psychotherapist and life coach specializing in overeating challenges, that even though we know that the standard American diet (SAD) is destroying our health and even though we have lots of great information about which foods support our health and what we should be eating, we still get derailed. Despite our best intentions, many of us find it difficult to make and sustain changes, especially when it comes to our eating habits. Most health experts today agree that the SAD is one of the main causes of overeating and weight gain. The SAD is loaded with delicious, fatty, fiber-less foods of animal origin as well as processed foods artificially concentrated with fat, sugar, flour and salt. These foods act like drugs and stimulate the release of powerful feel-good chemicals in the pleasure centers of the brain. These foods, which are highly pleasing and calming, can throw off our biochemical signaling system, and lead to wayward cravings and food addiction. And once we get used to these foods, it can require a herculean effort to resist these foods and choose less stimulating unprocessed whole foods. But the SAD is not the only cause of overeating and weight gain. Another important cause is emotional eating. So we know that knowledge is power, but knowledge alone isn’t enough. If it was, we’d all be healthy and at our ideal weights. We’d all be eating wholesome food most of the time, exercising daily and brushing and flossing after meals. Something is getting in the way of our ability to apply the knowledge we’ve acquired. You probably already know which foods you tend to feel compulsive with and most likely, these foods are not broccoli and spinach. If you do feel addictive urges with food, it’s most likely with those highly palatable foods such as chocolate, ice cream, cheese, bread, crackers, pastries, nuts or perhaps fatty meats like ribs and bacon. These foods trigger in us a powerful drive to seek continued stimulation and they compete with our conscious ability to say no. If the adult voices of your childhood were primarily warm, kind, empathic, loving, validating, soothing, calming, encouraging and hopeful, your brain had the greatest chance of all systems developing in an optimal way. If, on the other hand, there was a lack of sufficient nurturing, attuned experiences with your parents or caregivers, certain circuits in your brain may not have formed properly. The parent’s brain programs the infant’s brain and stressed parents will often raise children who have stress apparatus that also run in high gear. In addition, the infants of anxious, depressed, aggressive, absent or distracted parents are likely to encode imbalanced emotional patterns in their brains. And keep in mind that in many cases, it’s not a question of bad experiences in your childhood, but a lack of consistent nurturing, attuned experiences. According to Dr. Mate, as infants and small children, we need to be in “an attachment relationship with at least one reliably available, protective, psychologically present, and reasonably non-stressed adult.” Even loving, well intentioned care-givers can miss the mark if they themselves missed out on these experiences in childhood or are under too much stress during the child-rearing years. 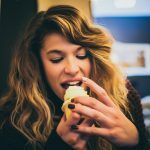 And this is where we find the connection between food addiction and emotional eating. New brain research confirms that addictive desires, urges or thoughts stem from insufficient nurturing early in our lives that causes imbalances in our brain chemistry. These addictive cravings are easily triggered whenever we are stressed, fatigued, unhappy, bored or experiencing a myriad of unpleasant emotional states. 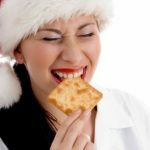 In essence, unpleasant emotional states trigger the addictive urge–a dopamine or endorphin hunger–and hence, emotional eating. 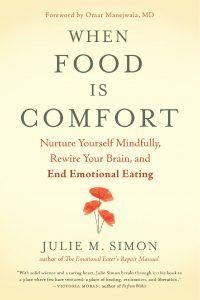 Grasping the powerful impact of the early environment on brain development and eating habits may leave you feeling hopeless about recovery from emotional eating and food addiction. But it just so happens that there are very good reasons not to despair. Your brain is an incredibly resilient organ: some important circuits continue to develop throughout our entire life span. The good news is that we can rewire our brain at any age. Neuroplasticity refers to the brain’s ability to reconfigure itself, to establish and to dissolve connections between its different parts. We can learn how to use the brain’s inherent architecture and formal capacities to recreate ourselves and change our habits. We can actually strategically change our brains in helpful ways. 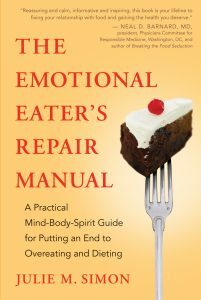 In my book, The Emotional Eater’s Repair Manual, the first two self-care skills I offer are designed to help you do just that. Self-Care Skill 1 is all about establishing the habit of self-connection: going inside regularly and checking in with your inner world of emotions, needs and thoughts. You continually monitor your internal world. Just like a master mechanic, you listen for signals of distress. 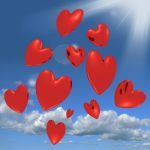 I show you how to develop an inner nurturing voice–a voice that is warm, kind, validating, calming, loving, supportive, encouraging, , hopeful, soothing and nurturing. And this supportive voice within can help restore you to emotional balance and help you address and meet your needs without turning to food. In Self-Care Skill 2 I show you how to catch and reframe any negative, critical, judgmental self-defeating thoughts, again, using an inner nurturing voice. When your brain and internal world is calm and stress-free, it’s much easier to make healthy food choices. Developing an inner nurturing voice, and learning how to regulate your emotions and reframe your thoughts is the key. This voice can help you rewire your brain and, over time, put an end to addictive urges and emotional eating.